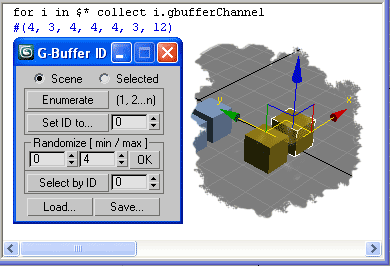 4 assistant operations for effects tasks which required G-Buffer ID's. All of them works on selection or all scene objects and support Undo. Plus Load/Save to log file to backup and restore your G-Buffer ID's settings. Save also works on selected or all scene objects. Only Load ops not support Undo.